Presidential candidate and Head of the Batkivshchyna Party Yulia Tymoshenko thanked Ukrainians in Halychyna for their efforts in preserving Ukraine’s peace, independence, sovereignty and integrity, prayed for all Ukrainian soldiers and prisoners, and called on all Ukrainians to unite in order to preserve and build the country. “Halychyna has always stood strongest in protecting Ukraine and was at the forefront of the struggle, change and victories for the right to be an independent, strong, sovereign state. 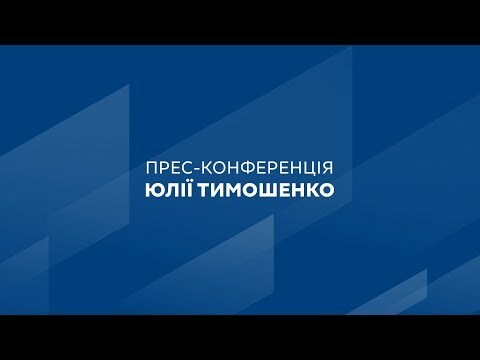 And in continuing the struggle for the integrity of our territory on the eastern borders of Ukraine, resisting the aggressor country, Halychyna was one of the first to send its sons and daughters to the front, where the defense for an independent, sovereign and integral Ukraine continues,” Yulia Tymoshenko said during a rally in Sambir. The presidential candidate thanked all the families of Ukraine who lost their dearest people on the front and called for a moment of silence to remember those who gave their lives fighting the aggressor country of the Russian Federation. “Glory to those heroes who fell in defense of Ukraine. Now they as angels – already in a better world – continue to defend Ukraine,” she said. The Head of the Batkivshchyna Party also called for support for those on the front in the trenches and under fire, as well as those held captive. “Let us pray that they come back alive and healthy, and that with our joint efforts peace returns to Ukraine, families are reunited, and we have the right to live peacefully,” she said. Yulia Tymoshenko once again stressed that the new president that will be elected is obliged to initiate diplomatic negotiations at the highest level within the framework of the guarantees of the Budapest memorandum. She believes this will allow to return peace, occupied Crimea and the Donbas, and to restore the integrity of Ukraine. “We need to immediately after the election stop the games of negotiating with terrorists, stop putting us in a corner forming Transnistria in the Donbas. We should immediately start negotiations in the Budapest format in order to restore peace, Crimea and Donbas,” she said. Yulia Tymoshenko also said that an important task is not only the territorial return of Donbas and Crimea, but the return of its people. “If we want to return Donbas and Crimea, we need to hug these Ukrainians as part of our common family and nation. They are Ukrainians. And the unity of the Ukrainian people is needed more than ever today,” she said. “We were divided for decades, but we need to tie our wounds, heal them, hug one another and understand that we are one nation, we are one people, and we should fight together for our lives, peace, independence, integrity and true sovereignty,” Yulia Tymoshenko concluded.